Fortissimo is a sophisticated, rich espresso with a dark green-khaki undertone. The formula is wonderful! Achieving full color after two coats, with a lustrous finish. As beautiful and unique as these polishes are, the formula leaves a lot to be desired. Usually, I have to apply 3 to 4 coats to achieve opacity, which really doesn't bother me. But, What gets me is the dreadful tip wear I experience within the 1st and 2nd day; not good for a higher-end brand, and I expect more from an $18 nail polish. 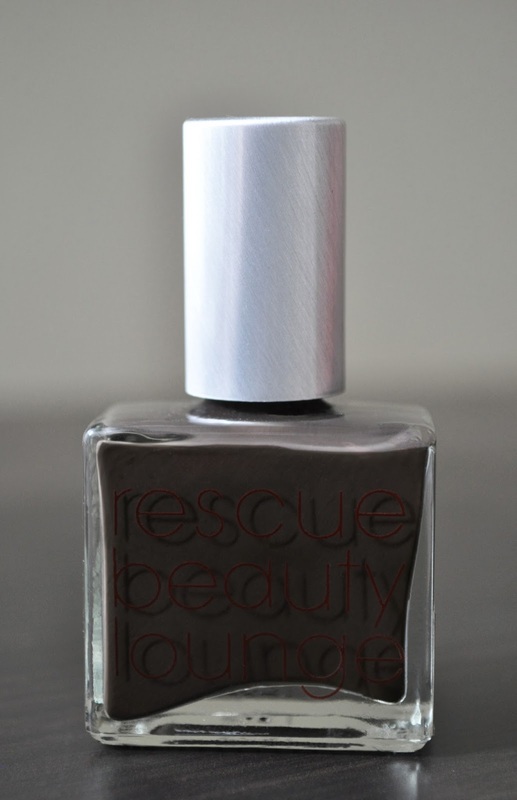 That being said, I'm always sucked in by the lovely color combinations, and I find myself getting back on that 'lacquer horse' called, Rescue Beauty Lounge. What's your experience with Rescue Beauty lounges formula? Oooh! 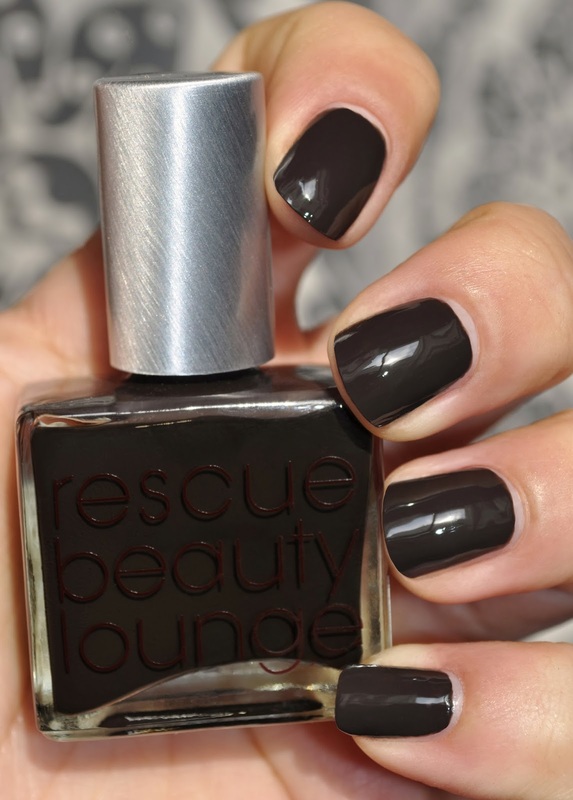 The Rescue Beauty Lounge polishes are some of my favorites (moreso for the formula first and second for the pretty colors)!!! I get almost indestructible wear of at least 4-5 days with no tipwear on my dominant hand and almost a week on my left non-dominant one. Isn't it funny how people's wear experience varies so much by individual? Chanel polishes, as an example chips almost immediately, usually in the very first day of wear. Chanel's polish are a real hit or miss for me, but more miss than hit. it's still available online. Were you able to get a bottle?